Buying a new home should be an exciting time in one’s life. 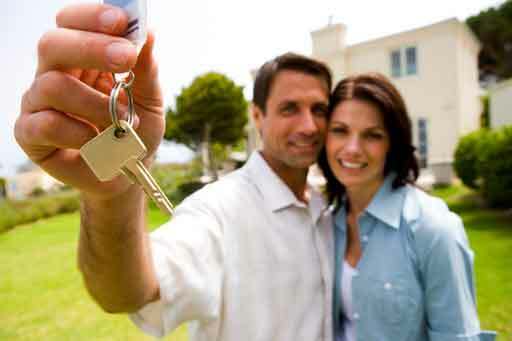 Yet, many people are overwhelmed by the requirements for obtaining a mortgage. Fortunately, most stress-causing issues are totally avoidable! DO make sure you pay all of your bills, including credit cards & car finance on time as you will have to explain any late payments in your history especially recent late payments which damage your scores more than historical blemishes. DO be aware of the amount of debt you carry. Lower debt means lower payments but depending on your affordability, can also mean you can pay it off quicker which makes it easier for you to qualify for a mortgage. DO be discerning when allowing a lender to run your credit. Get recommendations before you approach one. Too many inquiries over a few-month period will likely have an adverse effect on your credit scores. DO provide ALL of the documents your lender requests, when they’re requested. A superior lender or loan officer knows and will request everything required up front rather than throughout your transaction so it is best to have all of this paperwork to hand to provide him/her and promptly. DON’T at any point during the course of your mortgage transaction – lease a new car, charge up balances on your credit cards, or apply for any new credit. . Whatever you want or need, wait until after you’ve closed before purchasing it. DON’T keep your savings and investments spread out over dozens of different bank accounts. Documenting all of these accounts will be a logistical paperwork nightmare for you and your lender. It’s much simpler to document one or two accounts holding all of your funds as well as minimize your banking fees. DON’T make any large deposits, cash or transfers, without talking to your lender first! All large deposits, regardless of their origin, must be verified back to their source via a paper-trail of documents and is often regarded suspiciously and subjective to the underwriter. DON’T open, close, or transfer assets between different accounts unless absolutely necessary. This too creates more administration for everyone. DON’T wait until the last minute to receive gift funds or liquidate investments, Remember, same as any deposits, the transfer of these funds one account to the other must also be documented. If you wait until the last minute, you may find your closing delayed because you’re waiting for your next bank statement or trade confirmation. DON’T is to wait until after you’ve found a house before getting pre-qualified! In the eyes of a seller or Realtor, a buyer who isn’t prepared is at a distinct disadvantage to other buyers who already have their financing in place. Be prepared months in advance to make an offer and avoid any unpleasant & disappointing surprises during the process. By consulting with Premier Capital before you start your home search, we can ensure your transaction goes smoothly, your mortgage complements your financial plans, and helps you attain your financial goals.